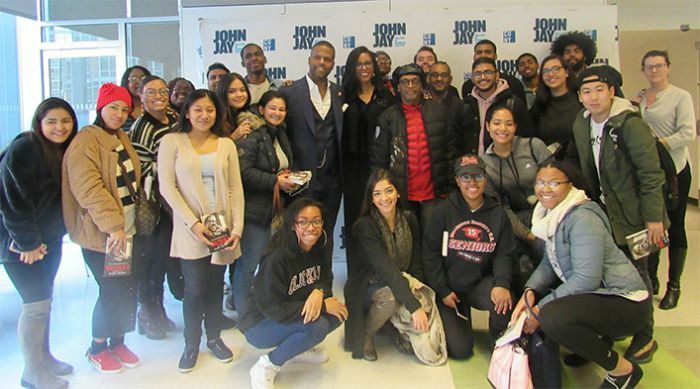 With social responsibility playing a pivotal role in their work, Adjunct Professor Ilyasah Shabazz, daughter of Malcolm X, invited acclaimed film director Spike Lee, to speak to her American Cultural Pluralism and the Law class. 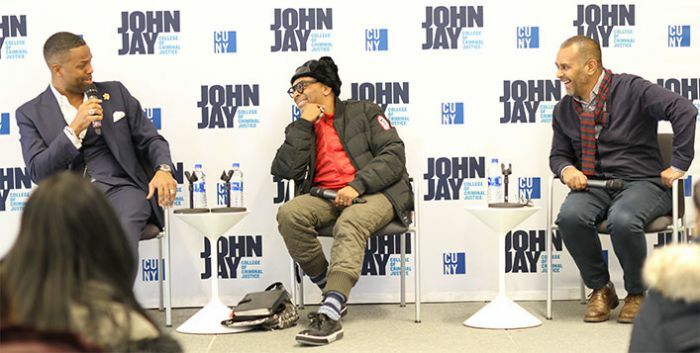 On December 11, Lee joined the John Jay students for a Q&A discussion where Shabazz started the event by reminding her students of what they had learned in class. “We have observed some information on the remarkable contributions of Americans regardless of race, class, gender, or religion for racial equality and human rights,” Shabazz said. “I hope that this inspires you to rise to the occasion when it’s your time to do the very same." A.J. Calloway, an American television personality, and Tony Phillips, Vice President of On-Demand Content at WNYC, also joined Lee on the panel. Lee began by talking about the beginning of his career in film. 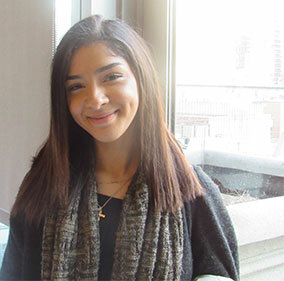 “Growing up in the People’s Republic of Brooklyn, New York, I had no idea I wanted to be a filmmaker. I went down south to Atlanta for college, and like I always say, I didn’t discover film, film discovered me,” Lee said with a laugh. 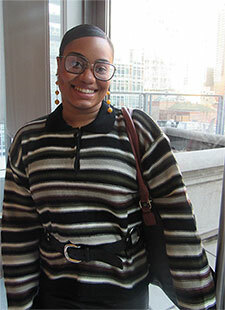 “After I graduated, I came back to New York and attended NYU Graduate Film School. I couldn’t get into other film schools because you needed an astronomical GRE score. I was fortunate that you didn’t have to take the GRE for NYU.” Lee then spoke about his initial awareness of social responsibility, which started in his Brooklyn home. “Being aware of it was just being at the dinner table. That was where the events of the day were discussed by my whole family,” he said. 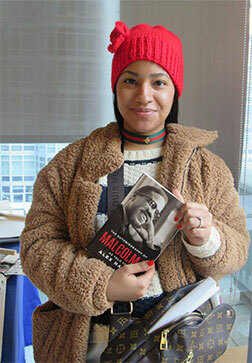 As the event ended, Calloway reminded Shabazz’s students to be more humane to everyone around them. “There’s a homeless guy by my job who’s been homeless for 38 years. I’m probably the only person who talks to him,” he said. “No one speaks to him. People give him money, but they don’t treat him like a human.” Calloway continued, advising students to uplift others. “It doesn’t matter what level you are on, you can always help someone. That’s our social responsibility.” After listening to the panel, we spoke with several students to hear their thoughts on the discussion.